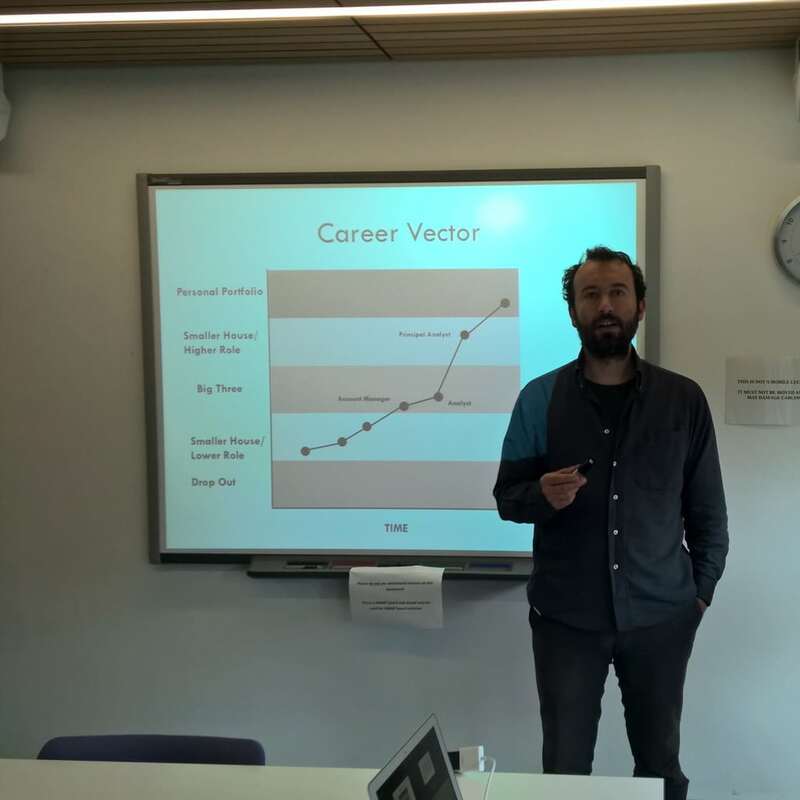 Gian Marco Campagnolo and two colleagues have been mining the profiles of industry analysts to see what makes career success happen. They have focussed on a group of 332 analysts in different roles, including top analysts, CEOs and specialists in the ERP area. I’ve been delighted to give them a little help with their project and fascinated by some of the realisations. In particular, it’s interesting to see how hard it is to map analysts’ career trajectories. Those few hundred analysts have had thousands and different job titles. Normalising that data, and even the company names was a strenuous activity. However, the many lists of analyst firms which exist helped the researcher to focus on the companies that are most widely accepted as being analyst firms. Using a normalisation process, around 1279 of 1659 different job titles were resolved into 23 possible states across 800 firms. One key task was to capture progress by looking at the size and seniority of analysts and analyst firms. Three companies clearly dominate the market: Gartner, Forrester and IDC are the largest firms by far. On average, the analysts studied have been with their current business for six years. They looked at the flow of people across these companies, and especially looked to see the prior firms that people worked for or, indeed, if there were firms where none of the staff had come from analyst firms. This division, between the analysts who come from analyst firms and those who do not, is obviously fascinating. People come from outside the sector to become analysts. There are many paths, and several hundred non-analyst firms that feed people into the analyst industry. In the aggregate, it’s very hard to see that, for example, working at a large vendor makes you more or less likely to end up as an analyst. Indeed, it’s surprising that their sample suggests that there is not a better-beaten path from the powerhouse vendors into the analyst industry. Their research identified 94 types of career move. On average, the analysts studied worked for 9.4 years before becoming an analyst and have been in their career for 20.7 years. Partly that reflects the growth of the analyst industry in the late 1990s. But these number might differ from firm to firm and, for example, some analyst firms have analysts with a much longer prior experience in the industry. Top analysts and CEOs had slightly more experience, and 23 years of work experience so far. That’s much more extended than what one might find with a random selection of analysts, where we would see an average of 7.5 years prior experience, and 16 years total work experience. Expertise clearly results from having a balanced career, with experience inside and outside the analyst industry. The nature of their prior knowledge is perhaps a little unclear: not all ERP analysts, for example, have a background in the ERP industry. Where do people start their analyst careers? In the data set, 451 stood out among the top six as the firm where people were most likely to start their analyst careers. Gartner and IDC were the least likely firms to start one’s career at. While we might assume that larger firms are the best at training new analysts. In-job training seems to matter the most to the largest analyst firms. Another measure of the progress of analysts is the number of jobs. On average, analysts have had five jobs: three before becoming an analyst, and two roles as analysts. Senior people change positions less often, partly because it takes longer to change job titles when you stay inside the same company. Thus, success seems to rely on prior career success before entering the analyst industry. It’s especially interesting to look at the careers of CEOs, with those in large firms and those who have failed in the progression pathway in larger firms and consequently took the risk to set up new businesses. Indeed, the relative lack of analysts with backgrounds in large vendors could also indicate that entry into the analyst market is a result of disruptions in the labour markets, including redundancies and freelancers moving back into employment. A quarter of analysts start their careers in analyst firms, and CEOs are much more likely to have started their careers as analysts. I describe as workforce heterogeneity the mixture of analysts from different firms and sectors inside each analyst firms. Some companies do have a well-worn path, and some analysts firms might be more likely to hire from particular companies. This heterogeneity also helps us to identify seven distinct career paths, three forms of progression, three forms of regression, and a personal portfolio approach that hedges the risk. Some firms moved up out of the big three and up to a more senior role in another company. Top analysts and CEO-level analysts tend to stay in their company until the end of their career or stay within the big three. Topic experts, on ERP for example, are more mobile. And, strikingly, many analyst firms are just not mentioned on the profiles of any analysts as prior employers. The roles of M&A is also important. The team’s future work can go in many directions. Many analysts work their way out from the big three analysts firms and seem to have a distinct set of pathways. It’s fascinating that these are large companies that tend to appear later than we’d expect in careers. The prior pathways are also interesting: one researcher, for example, noted that EDS seems to have been a particular source for Gartner.